Do I need to subscribe to Comic-Con HQ to what Con Man? If so, how much does it cost? Your first week is free so there is no risk in joining! Plans start under $5 in a month. And, there are a whole bunch of free goodies to grab if you subscribe now. I thought there was a 60 day free trial? Sorry about that confusion, there is no 60-day trial currently available at this moment for Comic-Con HQ or its shows. I'm an international fan getting an error on the Comic-Con HQ site. Comic-Con HQ is only available in the US but you can see Con Man on steam the day after it airs on Comic-Con HQ. I'm not in the below territories, how can I see it? Comic-Con HQ is only available in the U.S., but we have great news about Con Man for you … is on Steam! I live in Canada, Australia, Germany, UK how can I watch Con Man Season 2? 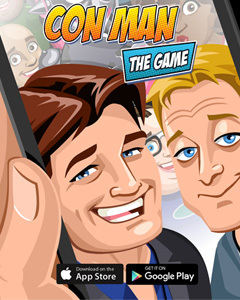 Comic-Con HQ is only available in the U.S., but we have great news about Con Man for you … it is on Itunes! 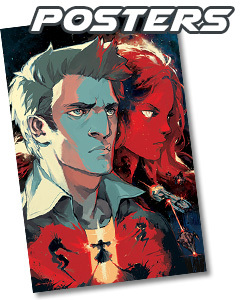 Available the day after it releases on Comic-Con HQ. OMG! Con Man is soo good! When is Season 2 coming out?! We love all the amazing feedback for Season 1! 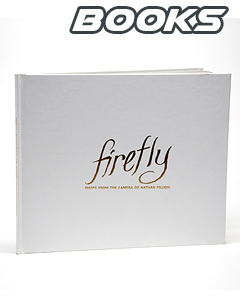 It’s a passion project from the mind of Alan Tudyk and you, the fans, made it happen. And because of that support we are happy to announce that Season 2 is in Pre-Production and will come out later this year! Get ready for more Wray Neerly and Jack Moore! Make sure you subscribe to Comic Con HQ as that will be the exclusive provider for Con Man Season 2. What is Comic Con HQ? Comic Con HQ is our new partner and home for Seasons 1 and 2 of Con Man! Comic Con HQ is a new streaming video-on-demand destination that delivers everything we love about Comic-Con right to your screen. Any time. From anywhere. All year round. So make sure you register for the free BETA program now! What happens to my purchased Vimeo, iTunes, Amazon, and Google Play versions of Con Man now that CCHQ is live? Don’t worry! If you’ve purchased or received Con Man as a backer you can continue to watch that content forever with no issues! Starting June 1st if you don’t already own Con Man on Vimeo, iTunes, Google Play, Amazon or on DVD/BluRay. 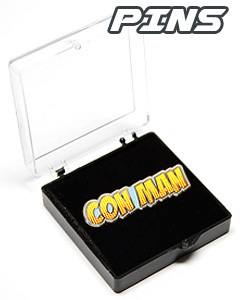 The only place you will be able to see Con Man will be on Comic Con HQ. Houston, we have a problem! I haven’t received my Vimeo access code. What should I do? A: Sorry to damage your calm, my friend. Let’s get this sorted out. Why isn’t my name in the credits? A: As much as we would’ve loved to put everyone’s names in the credits, only Super Fans and above perk levels got their names immortalized for all time. I know, you’re swearing by your pretty floral bonnet that you want to end me, but it’s true. I got distracted by something shiny and can’t remember which perk I bought. How do I find out? 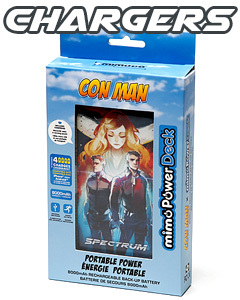 A: Go to https://www.indiegogo.com/projects/con-man and login to see which perk level you purchased and get the list of associated perks. I have received my code and launched Con Man; I don’t ever want to stop re-watching Wrey. How long is the code good for? A: Your code is good for the whole series and as a gift from Alan Tudyk and Nathan Fillion they have negotiated with Vimeo that backers will own Con Man on Vimeo forever or at least until the sun explodes. That’s over 2,000 hours of pure enjoyment you can enjoy over and over again. I’ve been sitting next to my mailbox for a while, waiting for my T-shirt and other perks to arrive, and I’m starting to look like a weirdo. When do we get them? A: We are very sorry for the delay but shipping items out to 46,000+ backers does take some time believe it or not. We have sent out about 99% of the backers perks so far and those who haven’t received their perks need to make sure they’ve filled out the Pledge Manager. If you have done all of this and are aiming to misbehave…please email support+conman@breadpig.com with your Pledge Manager information and what perks you haven’t received yet. When will backers receive the supremely amazing and hilariously awesome first season of Con Man on DVD? A: We have shipped out all the backer BluRay/DVD’s! Backers eligible for this perk should have received their BluRay/DVD by now. If you still haven’t received your Con Man BluRay/DVD please email support+conman@breadpig.com with your Pledge Manager information and they’ll make sure you on the next shipment! Otherwise you can purchase the BluRay/DVD combo set on the Con Man Store! I ordered the Con Man BluRay/DVD on the Con Man store but haven't received it yet! How to I check to make sure it didn't get eaten by a Reaver? A: First off thank you for loving Con Man and ordering a BluRay/DVD! If your order is domestic (US) expect your order to arrive 6 to 8 days after your order date. If your order is international (any Country other than US) we are noticing that shipments typically arrive 3 to 4 weeks after the order date. This is due to travel and customs. If you have any issues or questions please email barbara@mymediafast.com with your order number. Where can I find a schedule of upcoming Cons and events you'll be at? A: We are constantly updating our “Events” tab on our website. Check back there weekly to see what Con’s we are attending as well as surprise signings and more. We have the best fans and will make every opportunity to say hi!